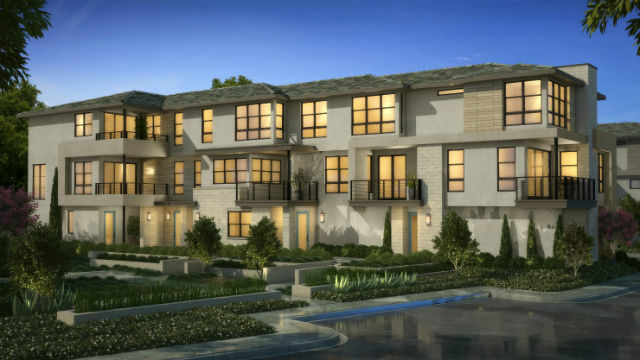 The New Home Company, an Orange County-based developer that is building homes throughout California, will open its first community in San Diego on Sunday. Promontory is a nine-acre neighborhood at the highest point in the 230-acre master-planned community of Civita in Mission Valley. A total of 133 homes are being built in two collections, both designed by the Woodley Architectural Group. The Heights consists of 93 courtyard townhomes in two and three-story layouts ranging from 1,401 to 2,015 square feet with up to three bedrooms and three and one-half baths. Prices begin in the mid-$600,000s. The Bluffs will offer 40 single-story flats and three-story attached homes with 1,584 to 2,188 square feet and up to three bedrooms and two and one-half baths. Prices start in the low $900,000s. Both collections are designed with unobstructed views through floor-to-ceiling windows, great rooms and master bedrooms oriented toward the valley below, and large patios and decks . On Sunday the developer will debut eight model homes.